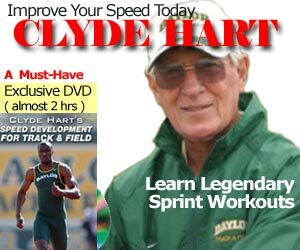 It amazes me when I see world class athlete with a blogger or brunysurin.blogspot.com account. It costs less than $7 per year for your own “dot com” domain name (if you are really cheap, then a .info costs only $2.99 per year). The domain name is the only upfront cost… you can bootstrap everything from there. Marketing or branding your image will be very important when it comes time for sponsors, so let’s look at a professional way to get your first Blog or website going. I am going to use GoDaddy and WordPress as default examples. You can use any domain registrar, especially if you registered a domain name already. With WordPress as your Blog platform, you can make you Blog look like a standard Website (i.e. set the front page to a specific “home” page) with your “Page” as static pages, and your “Posts” as the chronological diary, or rant. More on that later. Here are 5 step by step methods you need to follow to get started. 3) Change your Template. Under “Presentation” of your WordPress.com Admin Dashboard, change your Template to one of many free themes. There are 5 pages worth. Some are absolutely gaudy! If you want your Blog to look like a standard Website, find a theme with the navigation buttons on top instead of the sidebar. These buttons or tabs are your “Pages”. The standard ones you should create are “About Me (or Athlete Bio)”, “Contact Me”, and of course “Donate” for donations and sponsors. You can always change these on the fly without any coding. One click of the button is all it takes. READ What is Microsoft Silverlight? MS Flash Video? By the way, the “About” page is created by default. 4) Forward your domain. In GoDaddy, go to the Domain management and forward (or redirect) your purchased domain (i.e. www.yourdomain.com in #1 above) to the one you set up in WordPress (i.e. yourdomain.wordpress.com in #2 above) It may take up to 24-72 hours before this takes effect. 5) Domain Mapping. WordPress.com offers domain mapping capabilities if you want to “point” the registered domain name toward their WordPress.com blog. When you do so, your blog’s URL address will be www.yourdomain.com instead of yourdomain.wordpress.com. To me, this gives your blog or website a professional look. The domain mapping option is under the Options tab of your WordPress.com Admin Dashboard. In less than 15 minutes, your Blog or web site is now live. No HTML, no FTP, no Dreamweaver or FrontPage to setup or learn. The beauty of this setup is when you are ready for a paid monthly hosting plan, you can easily export the entire contents and import it to the new server in a matter of minutes. But I’ll save that for another time. WordPress.com uses a rich text editor that operates exactly like a word processor. What you see is what you get. Enter a title for your post in the Title field and begin writing. You can insert images into your post by clicking on the Add Image button. If you know HTML, you can click on the Code tab to edit your post’s source code. No FTP is required. When you’re done writing your post, you can either save it as a draft or publish it to your blog by clicking on the appropriate buttons immediately beneath the text field. You can also future post an article set at a later date. You will then be given the option to view your post. Whenever you’re ready to write a new post or manage your old ones, simply click on the Write tab of your WordPress.com Admin Dashboard. B) Setting up the default Front page – Web or Blog? As I mentioned earlier, you can make you Blog look like a standard Website if you set your front page to a specific page. Remember, the “Page” is static, and the “Post” is the diary. In the WordPress.com Admin Dashboard, go to Options… Reading and set your front page. To some readers, the above information (if you’ve read this far) is absolutely elementary. To others, just print it out and get started on making your mark on the web. Marketing or branding your image will be very important when it comes time for sponsors. And to your fans. I’ll have to use some of these techniques… thanks!